All-natural grain-free ancestral canine diet packed with protein that dogs crave. 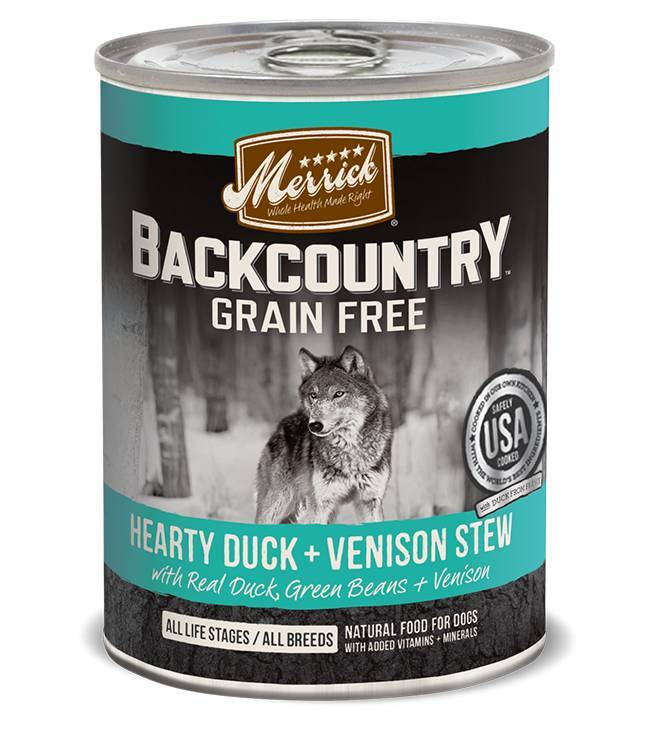 Merrick Backcountry canned stew recipes offer taste variety from exotic protein blends, fresh cut vegetables and hearty gravy. Safely cooked in the USA in our own kitchen with the world’s best ingredients. No ingredients from China.